Japan has the world’s 4th largest e-commerce market after United States, China and United Kingdom. The Japanese fashion market offers great retail and e-commerce opportunities. While developing a digital presence is key from a marketing perspective, it is still important to be visible in physical stores, to allow for greater impact on the market and sales online. In our previous article, we highlighted the opportunities in the halal industry space, in Japan. A lot of focus has been placed on halal food and tourism sectors. However, there is a dormant and untapped potential in modest fashion which we will explore here. What is modest fashion, exactly? Modest fashion conforms with Islamic principles – clothing pieces which are not clinging to body contours, preferably loose, long-sleeved and are made of non-translucent materials for tops. For bottoms, the skirts or pants must be long or covering the ankles, at the very least. These are usually worn with hijabs (veils or head scarves) but not necessarily so. The definition of modest varies with one’s culture and where you come from. It is also interpreted differently, depending on an individual’s taste, social, moral or spiritual inclinations. There is no one-sized, fixed rule (like all other fashion trends). Tokyo is already a key fashion trendsetter in Asia therefore it is an excellent test market for further expansion in Asia. If your company succeeds in Japan, the likelihood is that, you’ll make it in other parts of Asia (see point 3). Many of the values between the Japanese and Islam are similar. Virtues such as respecting the elders and honesty are highly revered. Similarly, Japanese fashion is predominantly conservative (except for certain subcultures) but unique. The Japanese market is highly competitive and sophisticated, your products need to be of high quality and perceived as something unique to stand out. Consumers seek items with a strong brand and design story. Many wants to know the origin of the brand, designer, inspiration stories and where or how the products are produced. Similarly, there is a growing segment among the Muslim millennials (worldwide) who seek quality, modest apparels with a unique twist. These consumers want more than the usual dose of fast fashion that are readily available everywhere. Many Asian tourists shop clothing, shoes and accessories in Japan due to the huge selection, superior quality of products and lack of counterfeits. Quality materials, finish and fit are the most attractive purchasing factors. 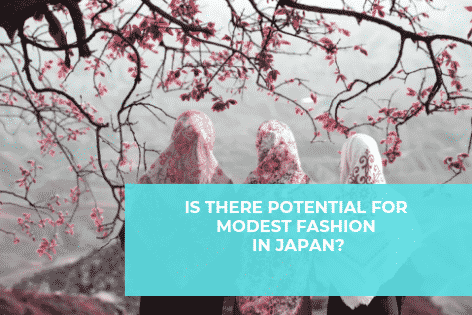 High potential for a niche market of functional clothing (for example, utilization of organic and recycled materials is in increasing demand in Japan). Socially conscious brands share the same values as Islamic principles – such as fair trade, no exploitation of production workers, free of animal cruelty and locally-produced to reduce effect on the environment. Digital Marketing make a great conduit to enter the Japan fashion market. Consumers seek inspiration for fashion trends through role models such as celebrities, bloggers and micro influencers. Fashion e-zines, blogs and social media platforms such as Instagram, Pinterest and Facebook play an important role in influencing consumer preferences and to gain traction for brands. 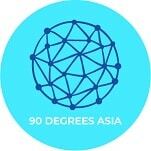 If you would like to know more how we can help you with your digital marketing initiatives in Japan, contact us here.